It’s time for another exciting update for Space Engineers. After our out of Early Access release, we are now bringing you another big change. Keeping in mind, that we want to make the Space Engineers game more fun and closer to your desires, we are introducing new game elements to Space Engineers. But let’s start from the beginning. 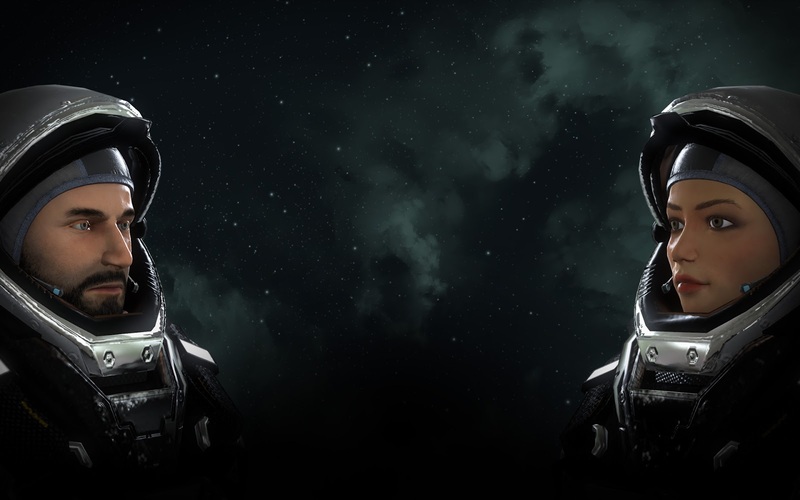 The most obvious change is the fact that with this release we are bringing both free and premium content to the game. 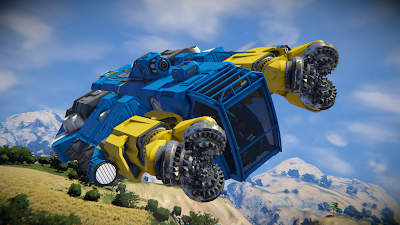 This gives you the opportunity to enjoy new things, but also the chance to support the further development of Space Engineers, if you are willing to do so. I explain the reasons for these steps below in more detail. One thing I’d like to mention at the beginning is that the content is not “pay to win” and the owner of the package has no advantage against other players. If you decide not to purchase the Decorative Pack, but you want to play with friends or other players who did buy the Decorative Pack, you will still be able to join a multiplayer game or server with them and enjoy the game. In this case, you will be able to view these new blocks, but you won’t be able to build or interact with them. If you decide to not buy the Decorative Pack, you are still getting a free update from us! So What’s Included in the New Update? Players who already own the Deluxe Edition will also get three new music tracks based on the music from this trailer for free. 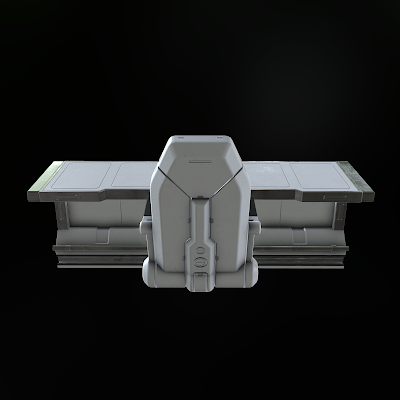 For players who wish to support further development of Space Engineers, we have created a bulk of decorative blocks, which you can use for various decorations on your spaceships, vehicles and space stations. The price is $3.99 USD, or your regional Steam equivalent. You can purchase the Decorative Pack here. We’ll be more than happy if you will send us the screenshots of how you used these new blocks. We will post the most creative ones on our social media. We reworked most of the display-like surfaces in game to act the same as an LCD panel, to be able to display texts and images. This includes cockpits, programmable block and new console block. This advanced feature will also give you the ability to render textures and texts at arbitrary positions onto LCD screens. You may either use Programmable Block, MOD API or select one of the integrated scripts. Integrated scripts can display Velocity, Energy / Hydrogen, Gravity, Digital or Analog clock. 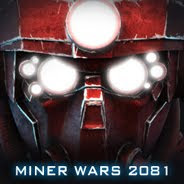 It is prepared for both single and multiplayer. 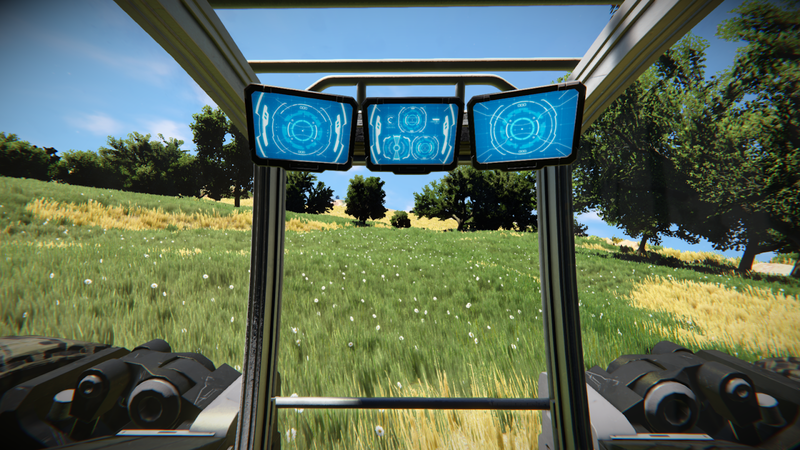 Every mission is different, and customizable LCDs allow Space Engineers to tailor these displays for specific tasks. We will host a livestream where our programmers will explain how to use programmable blocks and customizable LCD screens. Tune into Keen Community Network for Tuesday, April 9, 6PM UTC. After many requests, we have decided to release our internal Replay Tool that we use to create our trailers. It allows you to record the movement and actions of multiple characters in the same world. You can use your video recording software of choice to capture these moments for cinematic purposes! It’s also super useful for epic screenshot creation. 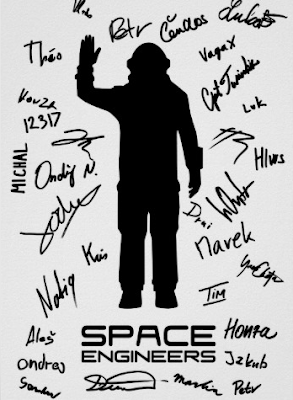 The tool allows you to be the director of your own Space Engineers film where you can carefully position and time different engineers with their own specific roles. We are extremely excited to see what the community will create with this! Important: because it’s an internal tool, it has a very basic user interface and required advanced users to be used. 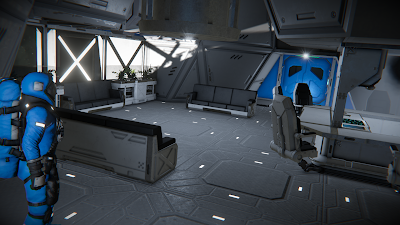 We believe this is OK, because most video creators who would want to use it to create epic cinematic Space Engineers videos are advanced users. Encounters - we added a whole bunch of new random encounters and upgraded several existing ones as well. 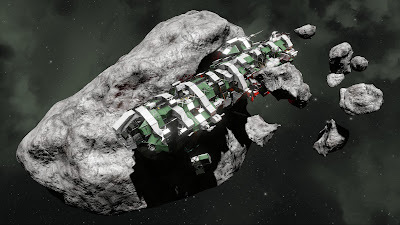 These new encounters will now include and showcase the new DLC blocks. There are now Steam trading cards to collect for Space Engineers! Collect a full set of cards to earn items that help you customize your Steam profile including backgrounds and badges. Beds can preserve characters’ inventory and toolbar while they're offline and keeps them alive as long as there is oxygen available. 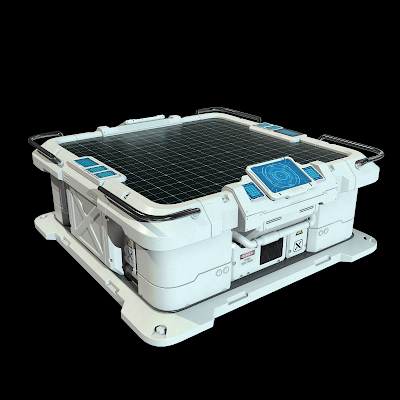 Is considered to be the same as the Cryo Chamber Block, except oxygen is used from the environment. Space Engineers don’t work from nine to five, they work whenever they’re needed: day or night, during peace and war. But when it’s time to call it a day, every engineer looks forward to resting in these beds. Standard and Corner Desks can be used as seats, which allow players to sit on the chair attached to it. Combine these blocks to produce various designs and sizes, creativity has no limitation. Whether designing new schematics or charting a fresh course to another world, desks are essential for any engineer looking to get some work done. Kitchens are purely decorative. 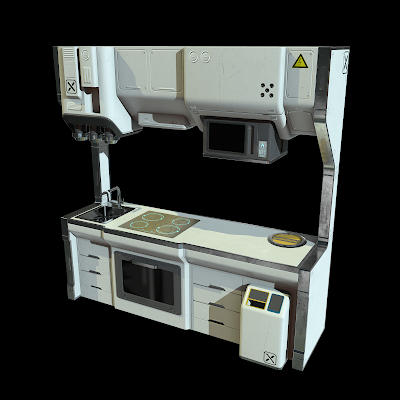 The kitchens in Space Engineers come well-equipped and include stunning visual details. 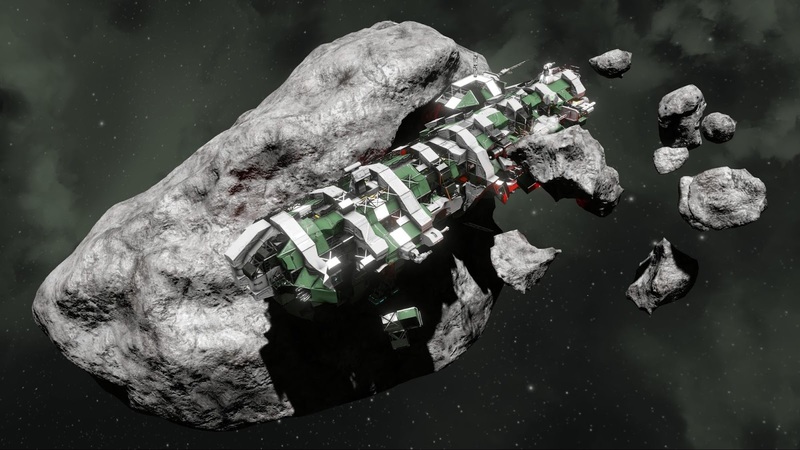 Space Engineers overcome challenges everyday when they’re working on new planets or among the stars. Planters are purely decorative, but they make outer space a bit warmer by housing life in a special glass container. 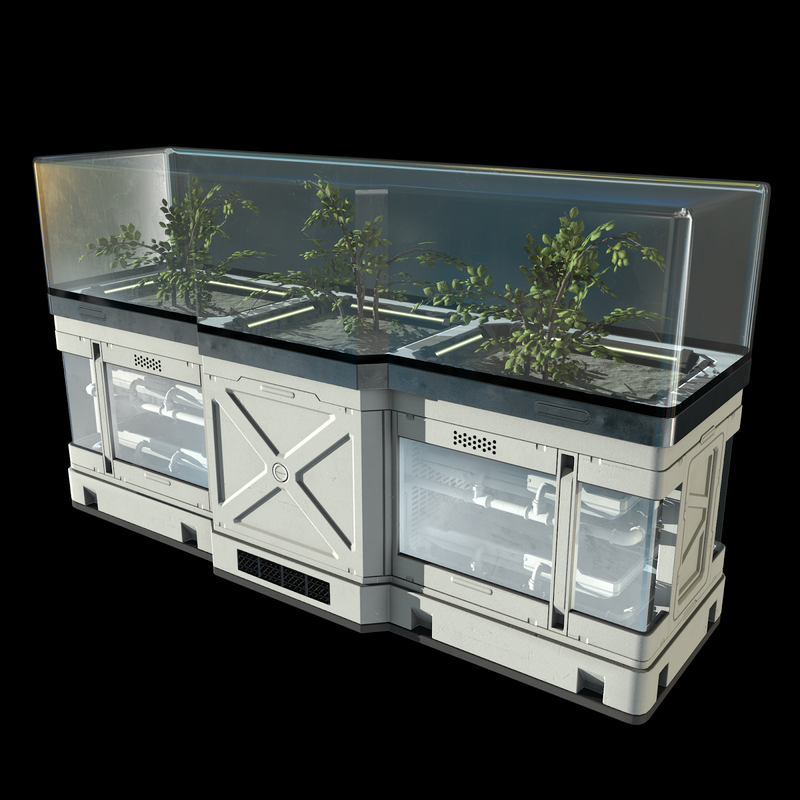 Build your own garden on the space station. Planters not only help to liven up spaces, but the flora housed inside these capsules also remind many engineers of the homes they’ve left behind in order to explore the universe. 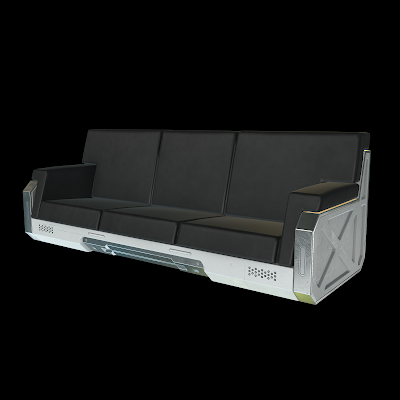 Couches can be used as seats, so take your time to relax and take a break. You don’t need to always run, fly or work, you can enjoy your cozy room and enjoy the view. The last thing anyone would ever call a Space Engineer is ‘couch potato’, but who wouldn’t like to relax after a hard day’s work on this comfy furniture? Armory and Armory Lockers can be used to decorate interiors and store weapons, ammunition, tools and bottles; both are small storages (400L), where you can keep your equipment. 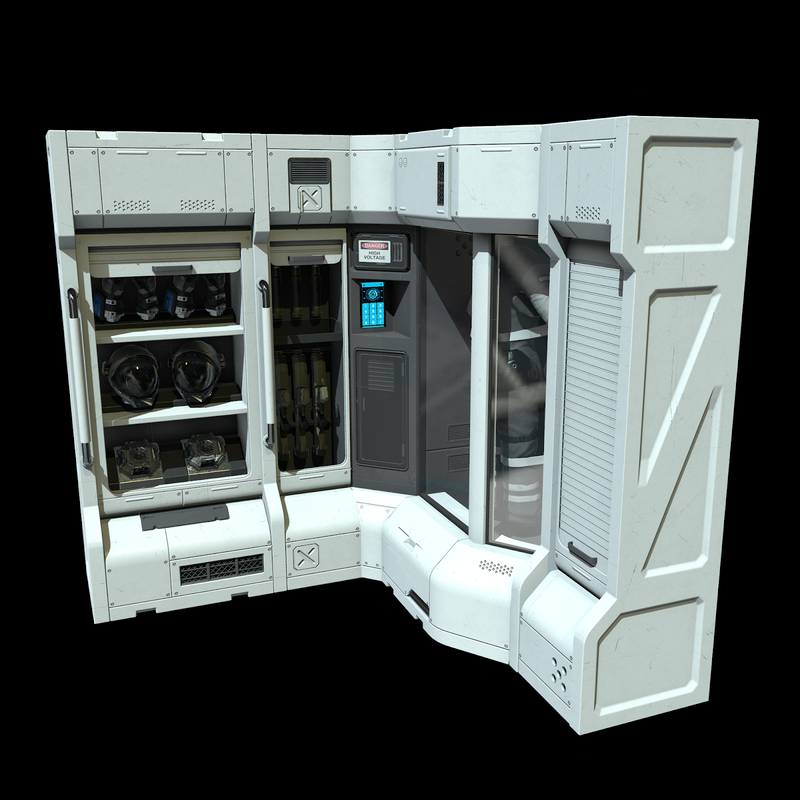 Space Engineers use lockers in order to ensure that keepsakes from home, toiletries and other items are kept safe. Lockers, storage is 1000L where little doors can be pointed at. Toilets can be used as a seat. The latest and greatest interstellar lavatory technology has made many earth dwellers jealous of the facilities enjoyed by Space Engineers. Toilet Seat that can be used as a seat and is fit for the creator of the legendary Red Ship; most engineers don’t want to get up after ‘taking care of business’. 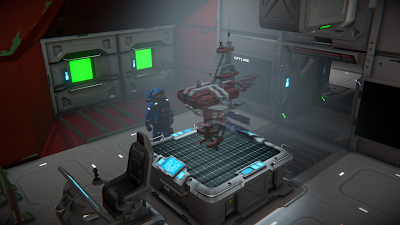 Industrial Cockpits are used to control your ships. 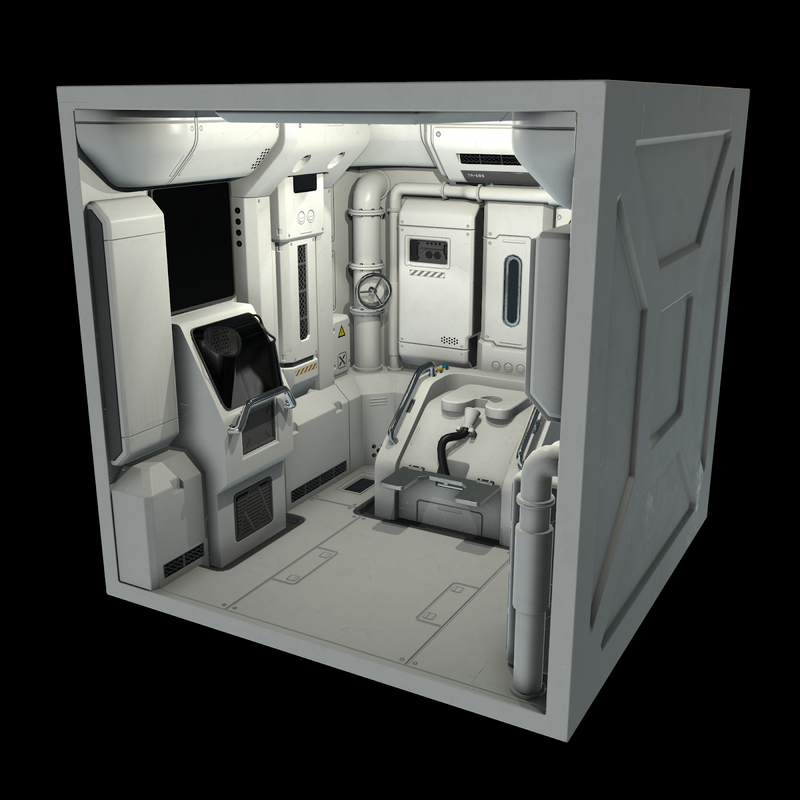 This industrial cockpit in both small and large grid versions will make your creations look much better. Offering unmatched visibility, the industrial cockpit enables engineers to experience stunning vistas while traversing landscapes and space. Console blocks project blueprints for downscaled ships and stations, as well as display pictograms or customizable text. They are fantastic functional LCD panels where you can project your creations and show them to your friends. 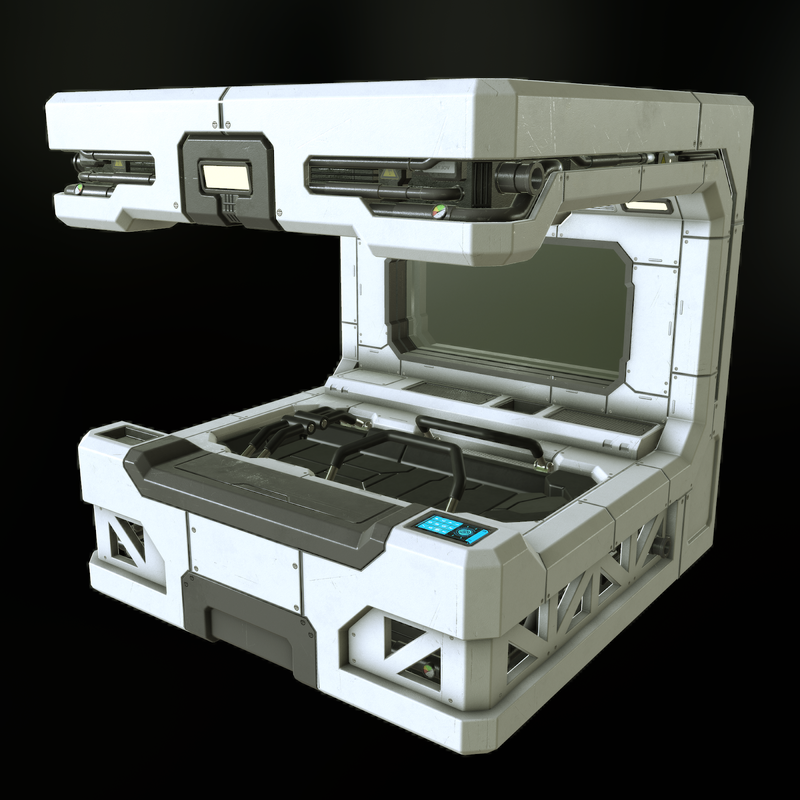 The sleek and crystal clear picture offered by this console allows Space Engineers to display designs and other important information. 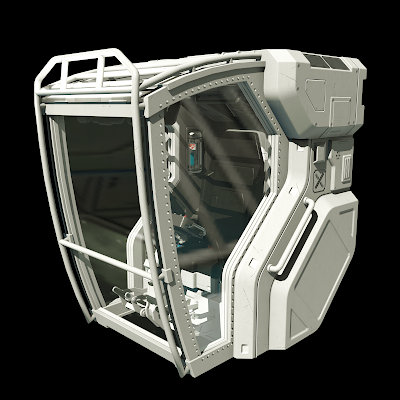 Small grid cryo pods - we are still going to add this block to the game, but we are in the process of testing it and fine tuning it. 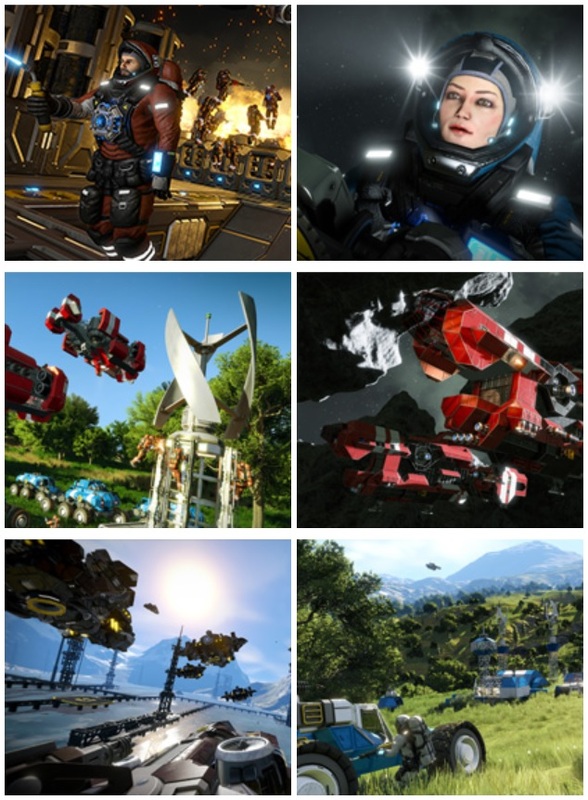 Keen Software House needs to stay profitable in order to continue development and support of Space Engineers, and to take risks, to invest into experiments that may not pay off in the short term, and to develop innovative concepts. We have been very lucky in being profitable since 2013. We are still very profitable. But we don’t want to just rest on one's laurels. Sometimes we have to invest in people, teams, or projects, without knowing if they will work out. You need to give them time. And if you want to have a high bar for innovation, expecting novel things, you need to take the risk. Rewrite our game engine VRAGE with parallelism in mind, being more asynchronous in its nature (parallelism by design), more data-oriented. Why are they high-risk? Because they are hard to do, and usually it takes many iterations until we figure out the right way to do it. It usually takes a few iterations to perfect it. This means that doing water can take a few weeks (if we get it right from the start) or a few years (if we need to experiment, iterate, throw away past experiments, look for specialists in this area, etc). Same for the engine rewrite and AI / living worlds for our games. Please see the above as a very open explanation of why income is important, and how it fuels future improvements of our games. A: Actually, even this update isn’t paid. The major part of this update (LCD screens, Replay Tool, new music tracks, smaller improvements) is free for everyone. Only the smaller and not mandatory part is paid - Decorative Pack, which you can purchase here. We have fantastic Space Engineers merchandise available at the Keen Software House E-shop. 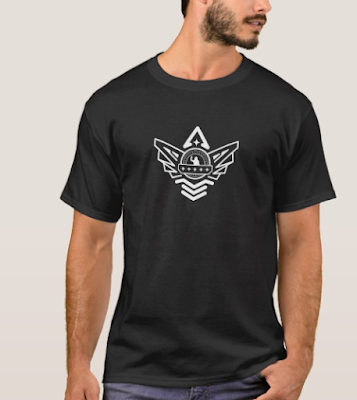 Our shop has many designs to choose from and it’s easy to use. This update is being released soon after the game moved out of Early Access. Our team really enjoyed working on it, because it was not about some back end changes that only a few people will notice, but it was about things that are visible to everyone. I hope you’ll also enjoy all of the new things in Space Engineers. If you enjoy this update, please consider writing a review on the Space Engineers Steam Store Page. Looking at our upcoming plans, I can say that we are going to work on another package similar to this one. It’s not a secret that we want to bring you more things you asked for in the past, such as new skins, new weapons, new economy system etc. If you want to let me know your feedback on our decision to release paid Decorative Pack, please get in touch via my personal email address marek.rosa@keenswh.com. I welcome every feedback and we will use it to learn and provide better service. Marek Rosa is the CEO and CTO of GoodAI, a general artificial intelligence R&D company, and the CEO and founder of Keen Software House, an independent game development studio best known for their best-seller Space Engineers (3 million copies sold). Both companies are based in Prague, Czech Republic. Marek has been interested in artificial intelligence since childhood. He started his career as a programmer but later transitioned to a leadership role. After the success of the Keen Software House titles, Marek was able to personally fund GoodAI, his new general AI research company building human-level artificial intelligence. GoodAI started in January 2014 and has over 30 research scientists, engineers and consultants working across its Research and Applied teams. 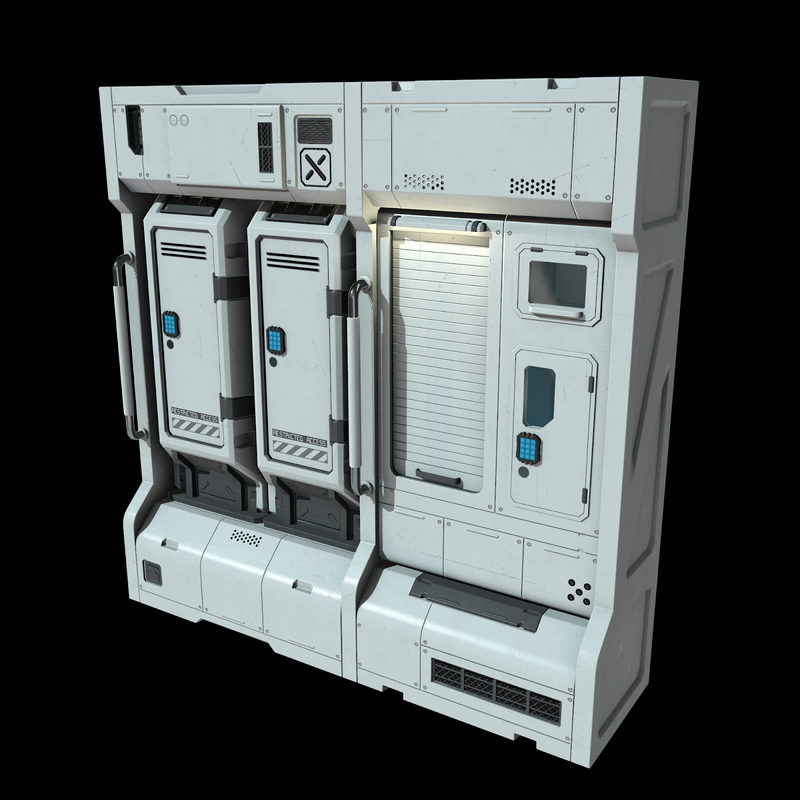 At this time, Marek is developing both Space Engineers and Medieval Engineers, as well as daily research and development on recursive self-improvement based general AI architecture.